As a business owner, it’s always a good idea to effectively use the marketing tools that are bringing you the most success. Measuring success as a business typically pertains to ROI, sales/income, and new customer acquisition. Reaching your target market with content that will appeal to them, while generating income is key when spending money to market yourself as a brand. This is why it’s essential to ensure you’re using the right marketing tools to reach your audience. So, just how do SMBs ensure they are using the best, most effective marketing tools? There is a variety to choose from today as more and more marketers are turning to the Internet to reach their target audiences. From social media and blogging to digital advertising and email marketing, businesses have a plethora of options to choose from. The right marketing tools should be able to show clear and concise improvements overall regarding reaching the desired audience, creating value for them, and in turn, loyalty, all while increasing ROI. As social media grows in popularity, this widespread tool may not be as effective at generating ROI as most would think. So what are SMBs who need to generate a solid stream of income and leads to do? This is where I find email marketing online to be effective. 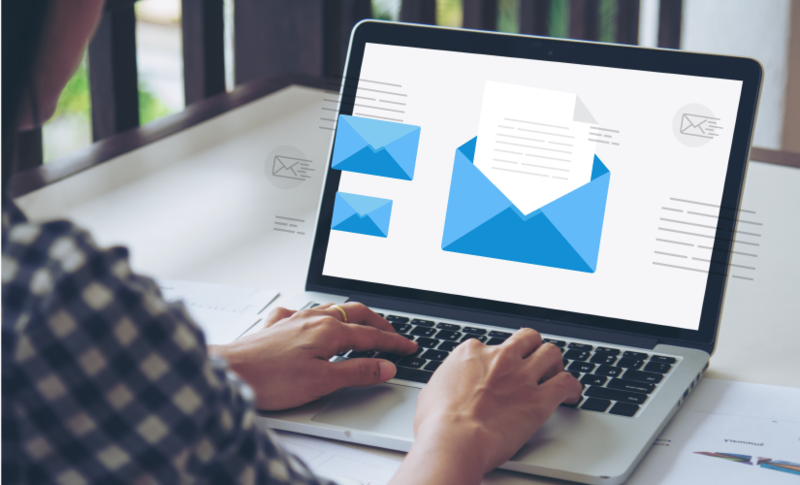 With the variety of marketing tools available for SMBs, email marketing is often a favored tool for businesses who are looking to increase ROI and generate leads. I certainly choose to invest my marketing dollars into email marketing when I want a big increase in ROI, in an easy to measure, easy to test, and easy to deliver way. The statistics concerning email marketing and ROI are shocking. In fact, there are so many wonderful stats surrounding the effectiveness of email marketing that Campaign Monitor put together a list of the best, and most current statistics concerning online email marketing today. For a communications medium that was rumored to be dying, email has certainly proven otherwise through the effectiveness of marketing to target audiences to sell and promote products and services. Even DMA (the Data and Marketing Association) claims that email is the top channel for digitally generating ROI. In fact, as reported by Campaign Monitor, for every $1 invested into email marketing, the average return is $44. This makes email a very wise investment for businesses who want to see their brands and revenues grow, as the average ROI for one dollar invested into email marketing equates to 4400% in growth. When the statistics are lied out, it’s easy to see why I believe SMBs are wise to invest in their email marketing strategies. It’s cost effective and affordable to do, it reaches more people than social media (supposing you have a well-established email list), and it converts into sales and profits more effectively than social media marketing. Where finding leads may seem daunting to those who are looking for new ways to market themselves, it’s incredibly simple to build an email list, and much less intimidating for both those who give you their information and those who are seeking someone’s email address. One great way I have helped companies build their email lists is by creating content they can offer online that is valuable to viewers, such as a downloadable eBook, or guide, that offers useful tips and advice. Once viewers decide they value what clients are offering and click to download the eBook, they are prompted to enter their personal information online. This information is stored and used to build an email list that can effectively reach those who are interested in a particular product, brand or industry. The link to download the eBook may be included in website copy, blogs, social media, and also via email. In addition to email marketing generating the best possible ROI, when done correctly, it is incredibly easy to automate an email marketing campaign so that the time put into it is minimal, and you can focus on the tasks that come with running your own business. With only two emails being sent each month for optimal open rates, this is easy to do, and there are a variety of email marketing tools that are available for businesses who want some email marketing help today. When I work with setting up email marketing for my clients, I use programs and software that specialize in email marketing. There are a variety of programs available on the market today that make creating and sending emails super simple. Once you have a good template that represents your brand in the way you see fit, it is easy to switch out content, and schedule campaigns to send to certain customers at specific times. Choosing the best time to send your emails will depend entirely upon your unique brand, and your unique target market, but a good email automation program will help you to determine which times are most optimal for emailing your lists, and you may also run AB tests to ensure your emails are being scheduled to send at the most profitable times possible. Email marketing is one of the easiest marketing mediums to measure, as the metrics are super simple to access, and read. Email marketing platforms will often show you your bounce rates, open rates, and click-through rates for your emails. Having such great analytics makes testing the effectiveness of certain elements of your email campaigns easy also. You may want to run AB tests concerning your email title, the time you send it, how you personalize the email, which CTA button is most effective, and where on your website you’re able to get the most information for your campaigns. Email campaigns can also be easily divided into segments based on data and research, and have been found to increase revenues by 760% on average. It’s important to personalize your emails to clients, as a personalized email can result in transaction rates that are six times higher, according to Experian. A great email automation service will allow you to personalize your emails with the click of a button so that it looks like to sent the email just for every individual on your list. It’s much easier to personalize an email than a message sent over social media. And according to the stats, it’s going to increase your profits much more as well. Think about how you feel when you see an email come through that has your first name in the title. It’s the small details, and personal touches that often make the biggest impact when it comes to marketing yourself via email. With the prevalence of smartphones today, most people have access to their email at all times from the touch of a button on their phones. This is why optimizing all email content for mobile devices is key. Many email marketing programs have the tool that will allow for mobile optimization, and this is of the utmost importance if you want your emails to stand out not only on a computer but the screen of a smartphone as well. Have you ever tried to open an email that wasn’t optimized for mobile on your cell phone? It’s fairly difficult to reach, and you may have to scroll all over the place in order just to take in one sentence. The display must be simplified, and formatted in a way that it will be easy to reach when viewers open an email on a cell phone or tablet. In fact, according to Campaign Monitor, approximately 53% of all emails are opened on mobile devices. That’s just over half of all emails. What’s more is that of the 900 million Gmail users, 75% of them have access to their accounts on their mobile devices. That’s a lot of people using email on their phones, and that is for one email server alone, and over time this number seems to be increasing. This is why mobile optimization is key, and a necessity for businesses who use email, as users will likely be notified immediately, and if you want them to click to open it rather than delete it, the content must be valuable attention-grabbing, and easy to read. Now that you can see the value and potential, the proper use of email marketing to reach your target audience can bring, what are your plans for using email to generate profits and leads, and increase ROI? Many eCommerce businesses will use newsletters and email campaigns to make their target audience aware of sales, promotions, and other important information about their brands. Keeping viewers in the loop about your product or services, and coming up with content your audience will find value in consistently is key. Now that you have the information about the effectiveness of implementing an email marketing campaign and access to the tools you need to do it, your biggest task will be providing your audience with what they want and tweaking your campaigns in ways that bring you the greatest results. Email marketing is a wonderful business tool that all companies would be wise to start taking advantage of. Rohit is an Internet guru with more than 15+ years experience digital marketing. He writes on many industry websites on digital marketing related topics.